The Auburn Automotive Company grew out of the Eckhart Carriage Company which was founded in Auburn, Indiana, in 1874 by Charles Eckhart. His son’s Frank and Morris absorbed two other local carmakers and moved into a larger plant in 1909. The enterprise was modestly successful until materials shortages during World War 1 forced the plant to close. The company was sold to a Chicago investor group and eventually Errett Lobban Cord took over the company through a leveraged buyout. Respected Auburn designer Al Leamy left Auburn in 1934, as he was saddled with the undeserved responsibility for the company’s disappointing sales figures. With few available funds and little time, Gordon Buehrig and his small design staff kept the best elements of Leamy’s 1934 designs. Buehrig’s team concentrated on the frontal area by skillfully revising the grille and adding a pair of handsome “semi-pontoon” front fenders. 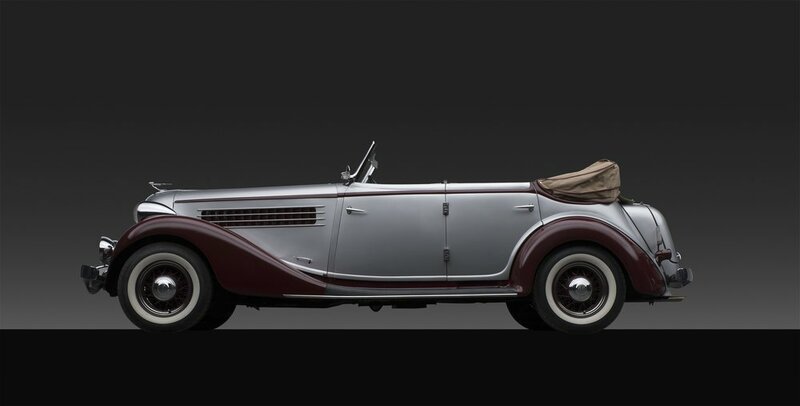 However, despite great styling, good performance, and bargain pricing, the combined effects of the Great Depression, management turmoil, and E.L. Cord’s complex business affairs led to Auburn’s demise in 1937. I have learned that a car is never just a car. It’s a vessel for story. A sense-memory of an era long past in leather and metal that begins with a designer’s vision, and continues as the vehicle is imprinted with the narrative of its owner and its passage through time and terrain. In my upcoming book, Automotive Art, is my visual journey into the past. 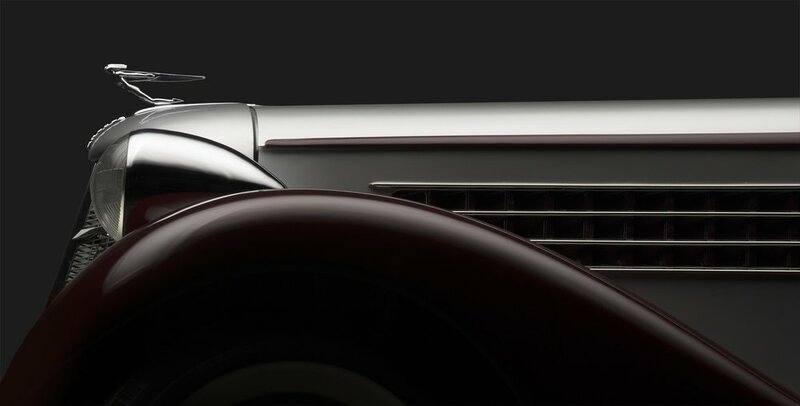 To the passion of the automotive designer and a reflection of each unique cars story and finally, presented as art.